Our goals for the project were to instill in our youth insight into where we came from and how important it is to preserve our culture. There are three Delaware bands: two in Oklahoma and one in Wisconsin. 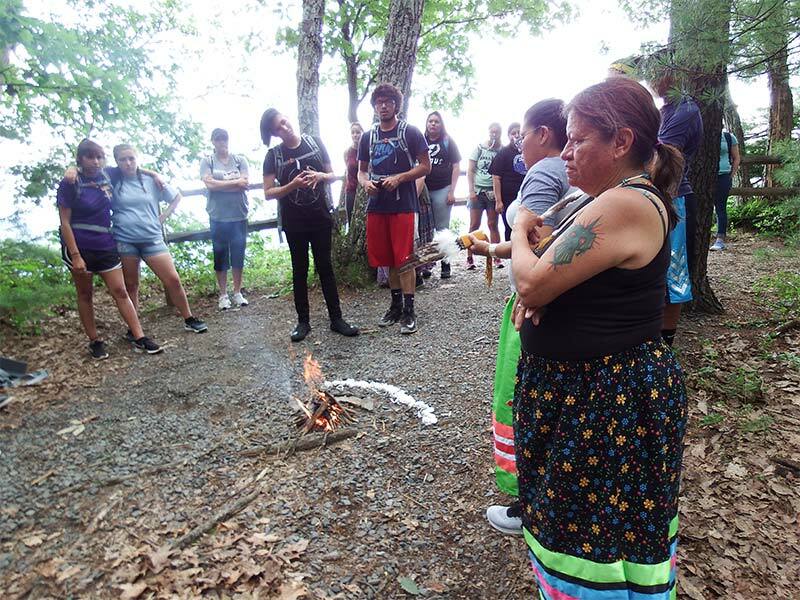 The Delaware Summer Youth Camp took place in our tribal ancestral homelands at the Delaware Water Gap in Pennsylvania. We had the opportunity to take youth and chaperones from each band of Delaware. The results of our project surpassed our original goals. An incredible connection was felt not only by the youth but by our tribal chaperones as well. To be there with our Lenape brothers and sisters and to see how much of our traditions, language and culture we have lost by being removed so far from our homelands instilled a sense of urgency in preserving our culture. Since our return, we have explored visiting our sister bands to try to renew our traditional songs and dances. The Phase 1 grant helped the Delaware Nation form contacts with the Delaware Tribe and Stockbridge Munsee Band to help work together on visitations to each other’s tribal headquarters and tribal events, such as the Stockbridge Munsee week-long language event during their annual dance. We have already begun looking for a new language instructor, and hope to have someone in place to start fall classes. We are also considering bringing back our Nation’s fall and spring festivals, which have not been held in many years. Our summer youth camp opened our eyes and placed desire in our people’s hearts to learn our language and keep our traditions alive. We have seen an increase in participation in our weekly cultural classes since our return from the camp. 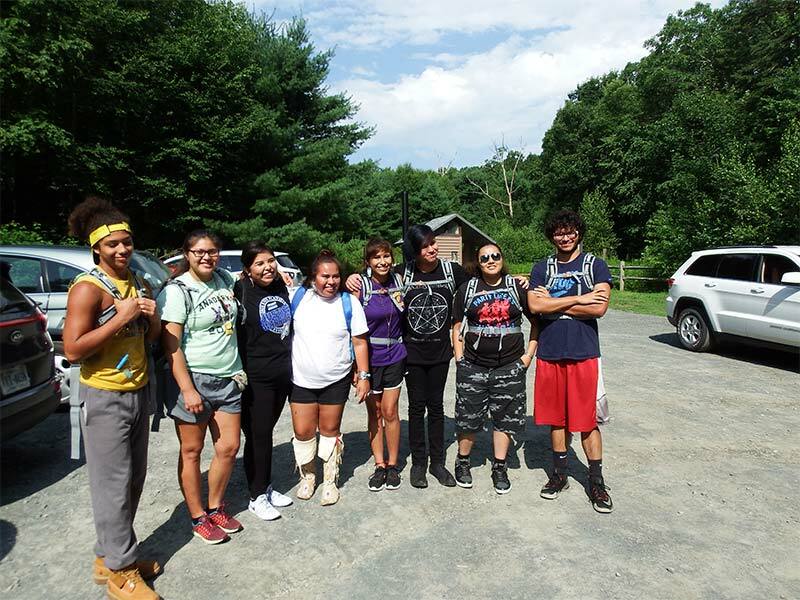 Youth who have not participated in Delaware Nation activities before are expressing interest in cultural and language classes. The National Park Service donated time and expertise to help participants visit Lenape sites in Pennsylvania and New Jersey. The Delaware Nation contributed funds to help with airfare. Our project’s next goal is to hire a language teacher, and to start a three sisters’ garden.